Posted September 9, 2016 by admin & filed under Garden Maintenance. Summer is the time of the year when gardens are used the most. However, the high temperatures can have a negative impact on the garden so this is something that you need to guard against. In addition, it is not unusual in the UK, especially over the last few years, to witness significant thunderstorms during the summer period and that’s why it is very important to come up with a plan that will keep your garden fresh, safe and beautiful in summer. There are many things that every homeowner can do, and we have decided to share three simple, yet efficient tips to keep your garden refreshed. If the lawn is maintained well, it won’t require drastically higher amounts of water for water during hot months. However, if you want to water smart and efficiently, you should consider the use of an irrigation system. This is a great way to effectively use water and to keep your garden attractive. There are special kits that you can buy which come with timers. By using an irrigation system, you can set the intensity of watering and the period of the day when this watering will take place. It’s a good idea to activate it in the early morning or in the evening as this will give the soil time to absorb the water in the right way. It is highly recommended to use the high setting mode when it comes to the mower blade because by doing this the stems of grass will deliver sufficient shade to the soil and the cuttings will serve as mulch, enabling the soil to keep the moisture for a longer period of time. The soil is affected by the hot weather and it can’t always absorb the nutrition found in ordinary fertilisers. There are specially designed fertiliser that can be used when the temperature is high so do your research and choose a fertiliser that is right for your lawn. If you need any advice about maintaining your garden this summer, please contact us now. Posted August 5, 2016 by admin & filed under Garden Maintenance. In order to provide conditions for the proper development of new plants, ground clearance is a must. This means that prior to planting any new plant; the ground must be cleared of any weeds because they can prevent the growth of the new plant. Site clearance is not a difficult task, but you need to start this process with a good plan. The following is a short list of site clearance tips for landscaping that can help any homeowners, regardless of the size and shape of their yard/garden. As we all know, using a weed killer is a must in a situation like this. However, if you want to get the most from this product, it is the best idea to use it in early summer and/or later spring (May, June, and July). The reason is simple – this is the period of the year when weeds start to grow fast and at the same time, it is very vulnerable to the chemicals found in modern weed killers. If the weeds are well-developed, it is much harder to get rid of them. Fully grown strong weeds, especially the ones like horsetail or ground elder, are often very stubborn and difficult to remove with a simple weed killer. That’s why experts recommend using a stick to damage the weeds before the weed killer is applied. By doing this, the weed will be forced to absorb the chemical content. If you have some unwanted or damaged trees in your garden, it’s best to get help from a professional tree surgeon. These experts can easily remove not only the tree but also roots. Once the tree is completely removed, the hole that’s left must be filled with quality topsoil and prepared for planting. 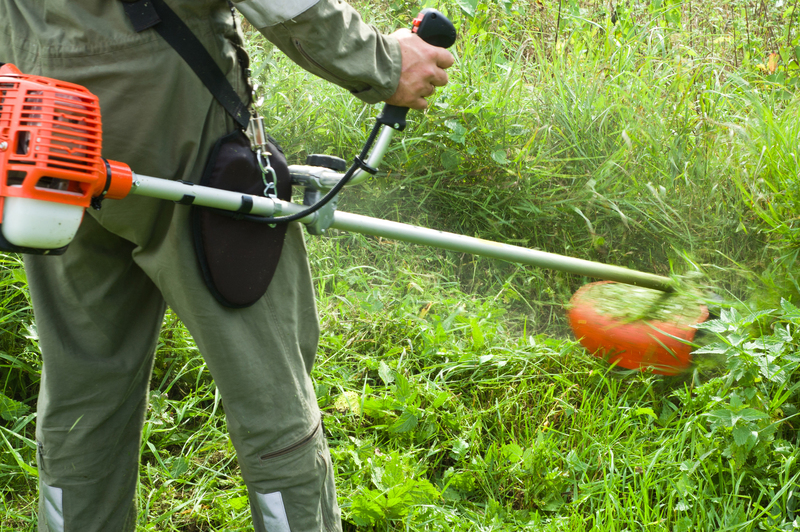 If stubborn weeds can’t be eliminated manually, then you should consider hiring a rotary scythe. Big brambles should be cut down first, as close to the ground as possible. When you notice a new shoot, you should use brushwood killer to deal with this problem. For more advice about eliminating weeds from your garden, please contact us now. Posted June 30, 2016 by admin & filed under Garden Maintenance. Proper care and maintenance are integral to every usable garden. It doesn’t really matter if you follow a DIY approach or you are using professional help, you will still need to find out how to maintain your garden in a proper way. This is especially true when it comes to the summer period when the weather plays a big part in how your garden will look. Here are a few summer garden maintenance tips to help you keep everything under control. This is obviously one of the most important issues during the summer period. For instance, native perennials which have deep roots don’t require much water, but young perennials must be watered on a regular basis. The water should sink in the soil not run off. Increase the amount of watering during the summer for all plants. Generally speaking, fertilisers, herbicides and pesticides contaminate soil and the environment. You can use the summer period to try a different approach. Use just organic fertilisers and see how it goes. According to many experts, if you use organic fertilisers and you are able to boost soil fertility, you should be able to keep the plants healthy and reduce the need for maintenance. This is another important activity that should be carried out during summer. If you want to increase the strength of your plants, don’t hesitate to prune them every now and then. Of course, shearing is not an option because it makes the plants weaker. If you don’t know how to perform pruning in the right way, ask for help from a professional. The beautiful weather during the summer period is not only good for the plants you are trying to grow. Weeds definitely love summer too. As we all know, they are very harmful plants that occur in every garden without appropriate maintenance. They are very aggressive and interrupt the proper growth of plants around them. Regular weeding is required in the summer months to keep control of the situation. For more advice about maintaining your garden this summer, please contact us now. 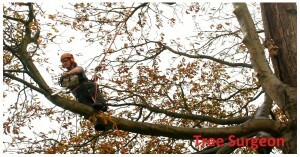 In recent times we are witnessing a huge increase in the number of companies providing tree work services. However, not all of them provide services with the same quality. If you have decided to use services of a tree surgeon, you should not settle for anything else than the best tree work professionals. But, how can you choose the right tree surgeon when there are so many companies out there doing it? First of all, you must be sure that the tree surgeon you want to hire has the necessary training, skills, experience and competence. There is no doubt that tree work is full of hazards, so, in order to get this job done in the right way, you will need people who have proper training, skills, knowledge and people who love their job. Another thing that you should consider is the type of services that these professionals provide. A good tree surgeon should provide a wide range of services because there are many activities associated with trees and they need different levels and categories of expertise. A good tree surgeon will provide services like barking and weeding, grounds and garden maintenance, tree surgery, cutting grass, stump grinding, weed control, trimming and pruning hedges and conifers, spraying and fertilising, tree removal and tree felling, leaf clearance, planting, litter removal and any kind of tree work. Good tree surgeons have industry qualifications and insurance. They have certifications to prove their expertise. The insurance is vital because no matter how experienced tree surgeons are, accidents can still happen. This liability insurance will protect the users of these services from any possible damages. At the same time, the insurance is good for the tree surgeon performing the task because it will cover their medical bills. Finally, even though the price is not the most important factor in this process, you should always get a written quote. This quote will clearly state what kind of services you will get and at which price. By comparing the quotes, you should get a clearer picture about the best tree surgeons for the job. For advice about all aspects of tree work, please contact us now. Posted May 16, 2016 by admin & filed under Uncategorized. Witnessing the emergence of a few weeds in your garden is pretty normal but it is very easy for these unwanted plants to spread quickly. 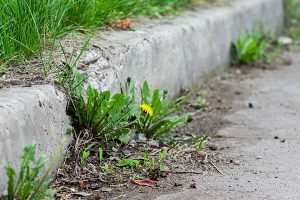 There are many people who believe that leaving a small amount of weeds is a good idea, but the fact is that they are not easy to control unless you make some special borders to keep them in one place. So, it makes more sense to get rid of them. The summer is approaching and this is the ideal time to start this process. Spring is the season when weeds reappear and unfortunately they tend to appear everywhere. The good news is that instead of digging and compromising the soil, you can eliminate weeds with the non-invasive method of mulching. To counteract weeds It is good practice to make elevated beds made of compost in the winter period. However, this method doesn’t guarantee the blockage of the growth of perennial weeds that have proven to be very persistent. Bindweed is one good example of that, but mulching can be helpful even in cases like this. Compost is an efficient and effective method of combating weeds. The roots and leaves of the weed will keep decomposing beneath the compost and at the same time, the plants that you want to thrive will keep growing freely. A compost of about 6 inch thickness should eliminate perennial weed while annual weeds will be eliminated under 3 inch compost. Weeds are the bane of many a gardener’s life but if you react in a timely manner, you will be spared from the trouble later. Make sure that you are taking regular care of your garden and you will enjoy a weed-free summer in your garden. If you need help with weeding and general garden maintenance, please do not hesitate to contact us. Posted April 13, 2016 by GardenBusters & filed under Garden Maintenance. If you want to enjoy your garden in summer, you must prepare it before the warmer months arrive and the season starts in earnest. During the spring, it will rain regularly, which means that you don’t need to be concerned about cutting grass and watering the plants. Of course, if for some reason spring is not rainy, you should get involved in these activities. When it comes to cutting grass, observe the growth rate of grass and cut it when the days are dry. A non-electric cutter allows you to cut the grass even when the days are wet. Of course, this activity requires more effort. Instead of waiting for the summer to plant some flowers, shrubs and other plants, you should do this in winter or spring when the prices are usually lower. This is a good way to save some money. If the plant must be planted outside in summer, you can always plant them in a pot first and keep them inside your home until summer arrives. Furthermore, you must take special care of the weeds. You will need adequate equipment and tools to do this job. Trowels are probably the basic tool you’ll need in this process. With the help of a hoe you will be able to remove even the largest weeds. 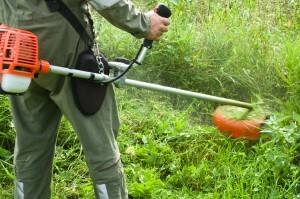 If the weeds are too dense in some areas, you can also use commercial or home made weed killers. When you clear the garden and remove the weeds, it is the right time to evaluate your lawn’s condition. It is very likely that after the winter, your lawn will need some attention. If you want to have a lovely garden during summer, you should not skip this part. Purchase some high-quality fertiliser and manure (in your local store or online) and use it in the soil with the help of a spade and pitchfork. By doing this, you will provide the necessary nutrients and make the soil very fertile – ideal for the growth of veggies and plants. 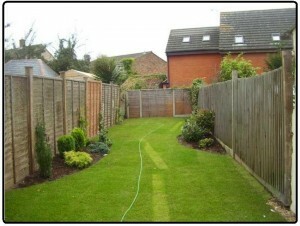 If you need any help in getting your garden ready for summer, please contact us now. Posted March 2, 2016 by GardenBusters & filed under Latest News. Unfortunately, trees can get sick and when they are sick, they can become quite dangerous. 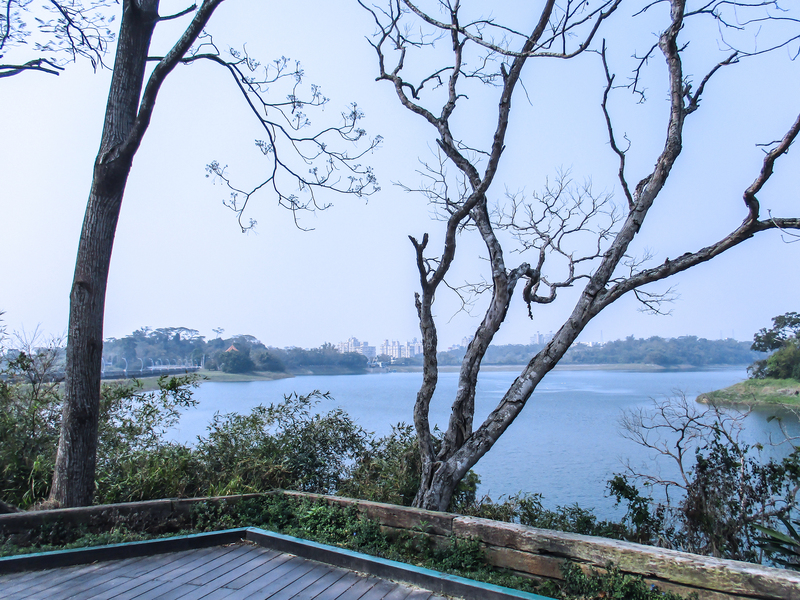 Stressed and diseased trees become weak and they can collapse suddenly, creating a lot of damage around them and potentially causing a fatality if someone happens to be in the vicinity of the tree at the time. So, in light of this, learning more about identifying a sick tree can be quite useful. Ash tree – The disease that commonly occurs in ash tree is called Ash Dieback. Some of the signs of this disease are rapid loss of leaves and decreased density in the crown of the tree. The leaves can turn dark or even black in spring. So far, specialists have not found a successful treatment, but there are some things that we can do to slow down the progress such as removing infected branches and burying or composting them. Oak trees – Acute oak decline is the most frequent disease in oak trees. One of the first signs of the presence of this disease (that can completely destroy oak trees in five years) is the dark liquid that comes out from the bark. If there is an increase presence of insects this may be another sign of acute oak decline. Horse chestnut trees – these are affected by different diseases and disorders. One of the most serious ones is called Bleeding Canker. This disease leads to cracking and damage in the bark. A dark substance filled with bacteria will drain from the bark and the tree can die very quickly. Elm trees – elm trees can be affected by Dutch elm disease which results in rapid change in the colour of leaves – they first turn yellow, then brown. In order to determine whether the tree is infected or not, it is the best to break a twig and see whether there are brown stains inside the wood. If you have a sick tree in your garden and need professional advice, then please contact us now. Posted February 5, 2016 by GardenBusters & filed under Latest News. There is no doubt that losing a scrub or tree is a very frustrating moment for every gardener and this is especially true if the plant was costly or if there is a sentimental attachment to the tree or shrub. If this has happened to you then the first thing you to have to do is find out how you can tell whether the tree/shrub is dead or not? This may sound like an odd question, but there are situations in which they look like they are dead, but they are actually alive. The simplest way to check their condition is to use your nail or a simple penknife to scratch the bark a little bit. If the stem is green then they are still good. A stem that’s brown indicates death. You should perform this procedure on the shoots and close to the roots. It is very important to understand that there are cases in which even expert gardeners witness the death of their new plants so don’t be too harsh on yourself if this happens to you! However, in most cases, if you take good care of them, they should grow and make progress. Let’s take a quick look at plants in the ground and plants in containers and see why they sometimes fail to grow. The first category usually fails to grow due to improper moisture in the soil and watering. The soil can be either too dry or too wet. In addition, sometimes people plant their trees and scrubs too deep in the ground and the stem base simply rots. In addition, certain animals like rabbits and rodents can damage the plants. When it comes to plants in containers, besides the aforementioned problems they can also suffer from frosted roots or from the use of inadequate (too large) containers. For more advice about looking after your plants, please contact Gardenbusters now. Posted January 7, 2016 by admin & filed under Latest News. Having a garden is a wonderful thing. You can use your garden to enjoy your free time, plant trees and shrubs, exercise and simply take a break from your everyday duties. However, in order to fully enjoy the benefits of having a garden you must take good care of it and this takes time. If you’re looking for an easier life then follow these 5 methods that will help you create a low-maintenance gravel garden. The first thing that you should do is to prepare the area by eliminating all or almost all of the planting located on the borders. If you want to keep some plants, set them aside. The next step is focusing on the lawn. 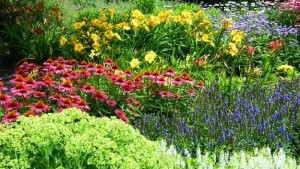 You must determine the lawn borders and use the area within the border for planting. In order to mark this area, you will need to highlight the edges. If you skip this step, you will risk injuries from gravel whenever you trim the edges with your mower. Most people choose monoblock strip for the edging. These monoblocks are not big and they look attractive, so they can easily blend in. You need to place them in a mortar base. If everything is done properly, the monoblock will be located under the level of lawn and slightly above the level of gravel, keeping the gravel where it should be. When you edge the gravel area, you can start planting. Dig slightly over the border in order to bring more air in the soil and to ease your task. It is also a good idea to use fertilisers at this point because using this product later will be much more difficult. At the end, make sure that the soil is even. Choose the plants that you want to use and group them. By doing this you will get small floral islands and you will still get the visual effects of the gravel. The final step is to put the gravel on the soil. Remember that there are different types of gravel, so use the one that you find most attractive. For more advice about low maintenance gardens, please contact us now. Posted November 30, 2015 by admin & filed under Garden Maintenance. Before you hire a gardening company to do some work in your home, you must make sure that you hire the best possible company for doing such a job. The following tips should help you decide in choosing the perfect gardening company to do the work for you. Reliable companies with a good reputation will have full insurance for public liability. This type of insurance covers possible accidental damage, and good companies will have no problems showing you their certificate for insurance either by e-mail or in printed version. Do they have previous references and testimonials? By checking out the experiences of other people about the business you plan to hire, you will get a general idea about how they work. Always look for references, testimonials, customer complaints or comments about the company. Social platforms are pretty good places to check out the company reviews and form your opinion. Does the company provide a written quotation? E-mailed or written quotations are very important, so you can be certain about what type of service you will get for your money. A verbal quote is sometimes ok but a written quotation is always better. The purpose of the quotation is for you to see a detailed description about the work that should be done, along with the proposed costs and expenditures. These are some basic tips to have in mind before hiring a company, although there are many others. Regardless which company you choose, always ask questions and look for their previous work and experience. Reliable companies will always be happy to gladly respond to your questions and clarify things for you. At Garden Busters we would be happy to show you our insurance certificates, references and testimonials and we will always provide you with a written quotation before commencing any work. Contact us now to discuss your gardening requirements.